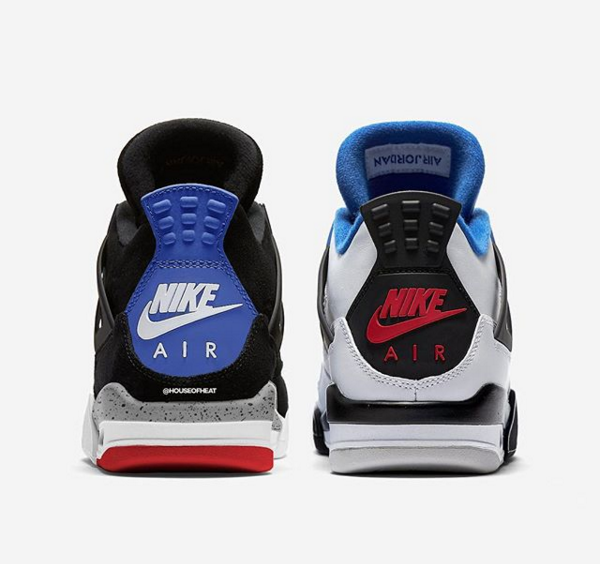 In celebration of 2019 being the 30th anniversary of the Air Jordan 4, Jordan Brand will be re-releasing a handful of classic colorways, as well as some never before seen iterations of the iconic silhouette. One of the Air Jordan 4s set to drop this Fall will reportedly be of the "What The" variety, featuring elements of each of the four original Air Jordan 4 colorways, including the "White Cement," "Bred," "Military Blue," and "Fire Red." Images of the "What The" Air Jordan 4 have not yet surfaced, but rumors are swirling that the special edition sneakers will be available on November 23. It remains to be seen how much the kicks will cost and how many pairs will be available but we already know they'll be among the most coveted 4s to drop in 2019. Check out the upcoming "Bred" Air Jordan 4 here, while we await a first look at the "What The" rendition. Sneakers News Lifestyle air jordans Air jordan Releases Air Jordan 4 What The Air Jordan 4 Air Jordan 4 "What THe"